The 90s has brought people some of the best anime and manga ever made. One such title is Sailor Moon a manga and anime series that centers on a young middle-school girl who became a Sailor Warrior. 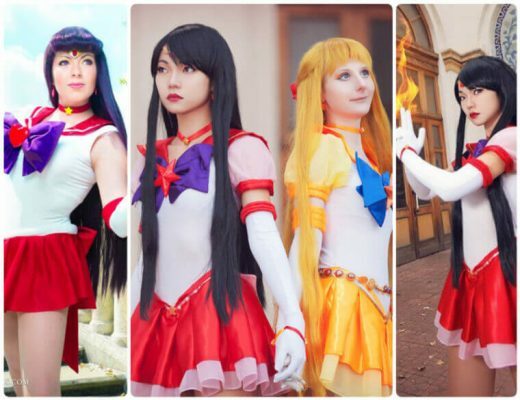 She and her team of Sailor Warriors protect the Earth from evil. One of the said warriors is known as Sailor Mercury. Now, Sailor Mercury is one of the original five members of the Inner Sailor Warriors and the very first sailor soldier that the main character Usagi Tsukino has discovered. Her civilian identity is Ami Mizuno, and she is the brains among the five sailor soldiers because of her high intellect and the ability to use a supercomputer. Her IQ is rumored to be at 300. She is one of the most recognizable characters in the series due to a particular anime episode that showcases her own short story in the manga. It will be a Sailor Mercury cosplay guide. Being one of the original five Inner Sailor Warriors, Sailor Mercury is a main character in the Sailor Moon series. She is the Soldier of Water and Intelligence, and her powers come from the water and ice. The character can manipulate water in any way that she wants to fight enemies and protect allies. Being associated with water and ice, her uniform is in the shades of blue color. 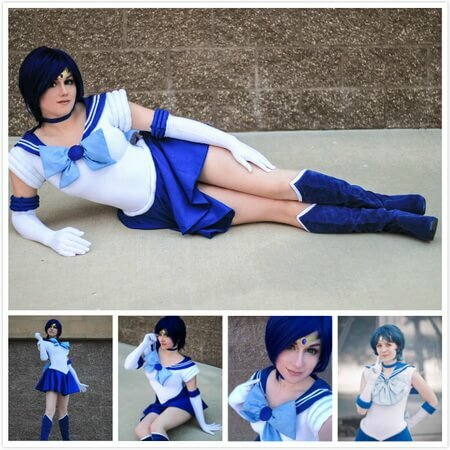 The Sailor Mercury cosplay set will come with the full costume, which includes the with sailor school uniform with blue collars and blue mini skirt. It also has elbow-length white gloves with blue bands on the elbows, knee-length blue boots, and a headband headwear. The costume includes a short blue wig for Sailor Mercury’s hairstyle. 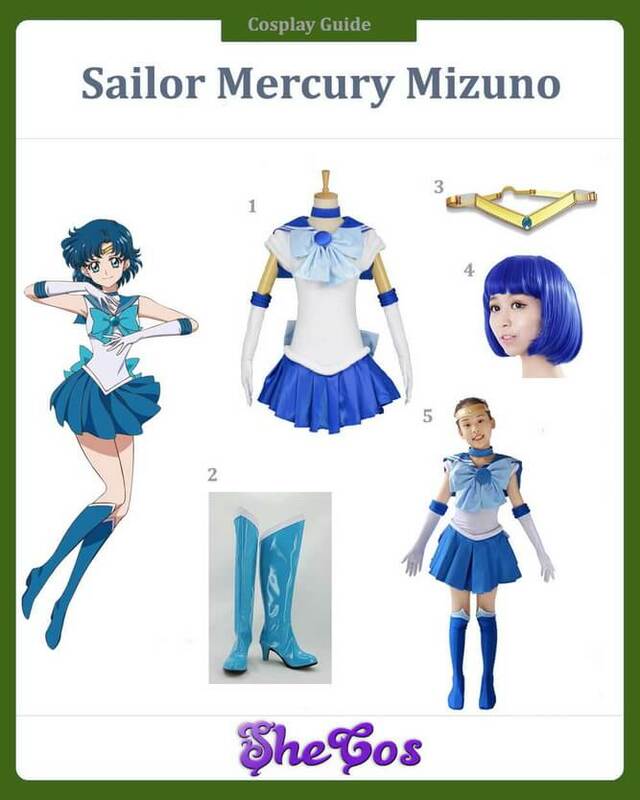 The cosplay set also comes with a full Sailor Mercury costume that will fit kids. Sailor Mercury is the first sailor soldier that Usagi discovered because Ami Mizuno is a schoolmate of hers at Juuban Municipal High School. She is brilliant but also shy and a bit insecure. This shyness, though, is usually misinterpreted as snobbery, which makes it difficult for her to make new friends at the start. 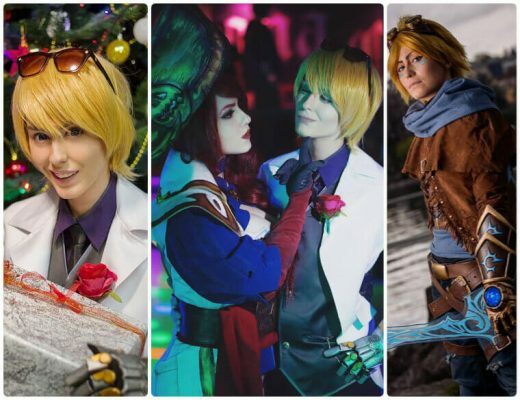 She became stronger and more confident about herself as the series progressed. Though Sailor Mercury is brilliant, she is more than just brains. She also possesses a certain beauty about her. 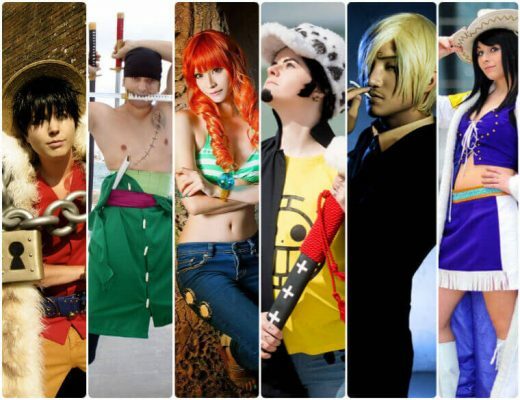 Mercury is also one of the most recognizable characters in the series, making her a usual choice to cosplay in. 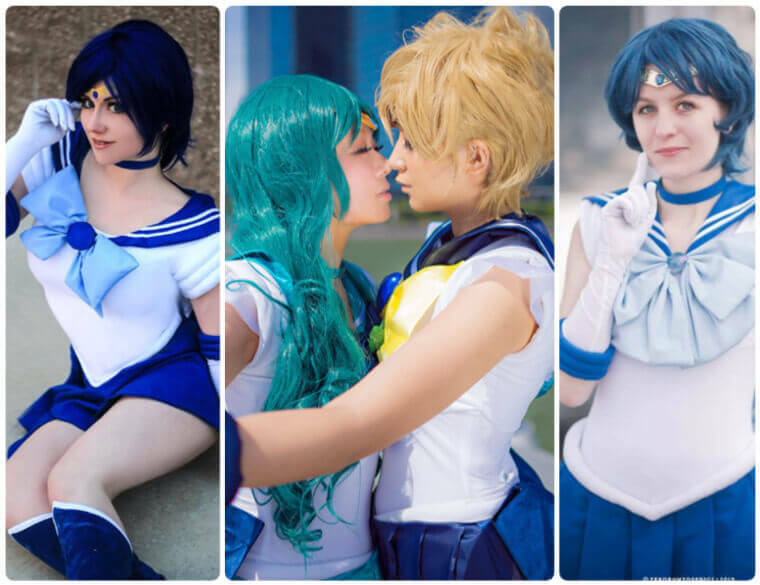 Looking at the Sailor Mercury cosplay photos, you can see that She is also an excellent choice to dress up in when you are attending a costume party, photoshoot or comic conventions.